A Texas court heard argument Monday calling the U.S. Department of State out for its censorship of online plans for a 3-D printable firearm. Attorneys for Defense Distributed filed a motion for preliminary injunction to halt enforcement of “any prepublication approval requirement against unclassified information under the International Traffic Arms Regulations,” which seeks to control the export of defense-related technology. The federal government recently added a provision to the regulations which would include the control of technical data. Should the court grant the injunction, it will be a big win for Defense Distributed, who could then repost blueprints for the “Liberator,” a printed, single shot pistol the group released in May 2013. 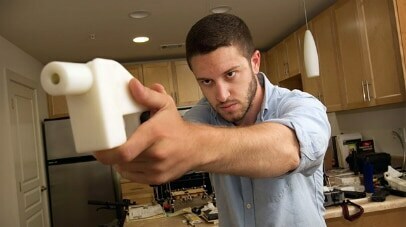 “We get to be the spear tip on this one, but we’ve got a team that can take it all the way,” Cody Wilson, founder of Defense Distributed, previously told Guns.com. Gun rights advocates claim the executive department violated Wilson’s rights to free speech and due process. Wilson’s pistol gained attention instantly, with its blueprints downloaded almost 100,000 times in the first two days of its release. Though Defense Distributed took its Liberator files offline, the blueprints persist on torrent sites across the Internet and out of the U.S. government’s reach.